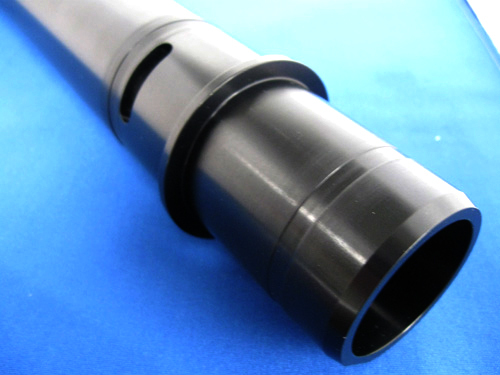 Black Hardcoat Anodizing & Dry Film Lubrication of Aluminum Parts | Modern Metal Finishing Inc.
We were contracted by a manufacturer of aerospace components to apply a black hardcoat anodized finish to the shafts shown here. The shafts were composed of 6061 T-6 aluminum, and were 24" in length and 3" in diameter, designed for use in an aerospace application. 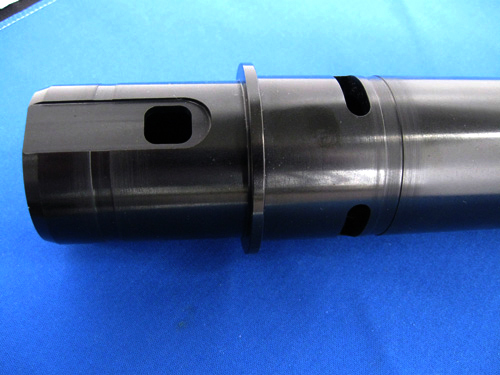 The process required meeting coating thickness tolerances of +.0016" / -.0024" and be to specific areas of the shaft. The process is certified in compliance with MIL-A-8625F Type, III, Class 2, MIL-C-5541, and MIL PRF-46147C. 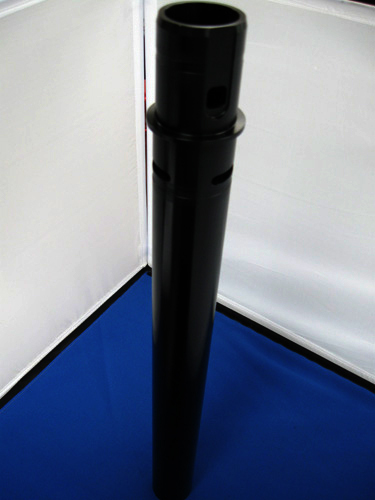 Prior to coating, areas of the shaft were ChemFilmed and masked to keep the coating only in the locations that the customer required. 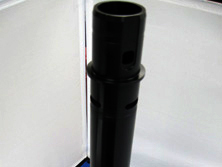 The shafts then received the black hardcoat anodizing followed by the application of a dry film lubrication coating. To learn more about this project, see the table below or contact us directly. These aluminum shafts are used in the aviation/aerospace industry.